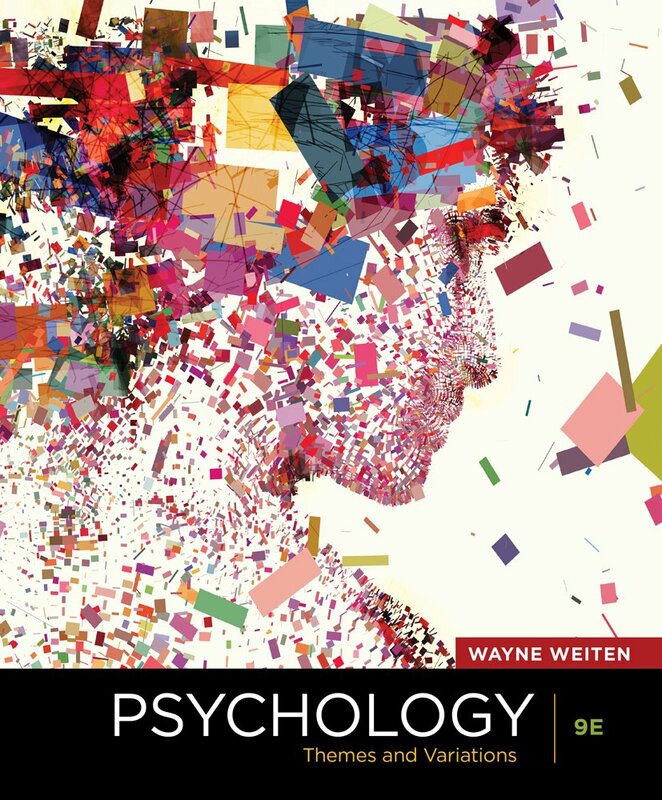 TUE - What is Psychology? How to use the website. How can I use it to succeed? 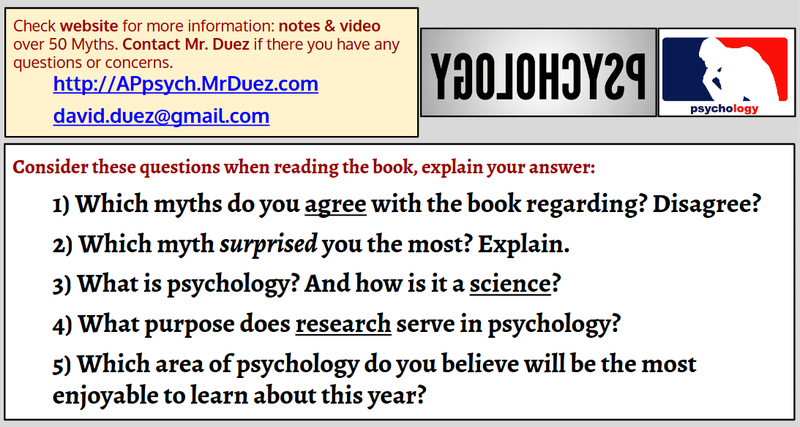 Themes & Variations of Psychology; 50 Myths of Psychology Presentation/Project information; DUEZ will pull numbers to determine the myth you will use for your presentation. Psych Trek CD - History & Evolution of Psych; Video study - Discovering Psychology - 1: Past, Present, & Promise; Reminder 50 Myths presentations..
FRI - Quiz over 50 Great Myths. 50 Myths Presentations will be on Wed/Thu next week in class. 2. Science can be used as a process to determine truth. 3. Science & Psychology has changed and evolved over time as we have learned more. 2. How can taking the AP test help? 3. How can the website help me prepare? 1. DO NOW: Pick up the class syllabus at the front table. 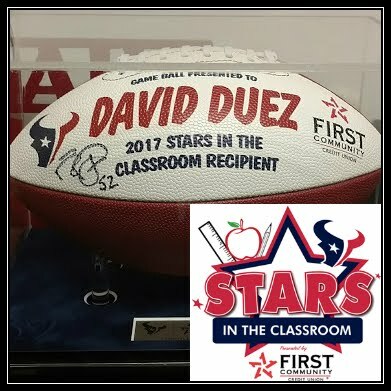 Write down any questions or concerns that you have while Mr. Duez takes attendance. 2. Discuss the class information sheet. Answer any questions. 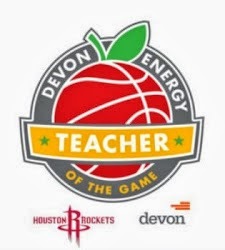 Fill Out the Student Survey - due by next Tuesday. Quiz over 50 Great Myths of Popular Psych on Friday, August, 24th. 50 Great Myths - Presentation due next week on Wed/Thu Sept. 2nd and 3rd in class. 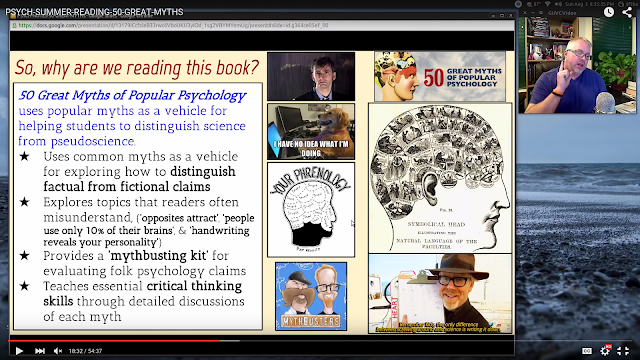 Watch the video screencasts over the Summer Reading: 50 Great Myths & The First Unit. Take notes. Bring them to class. Bring questions you have to class. 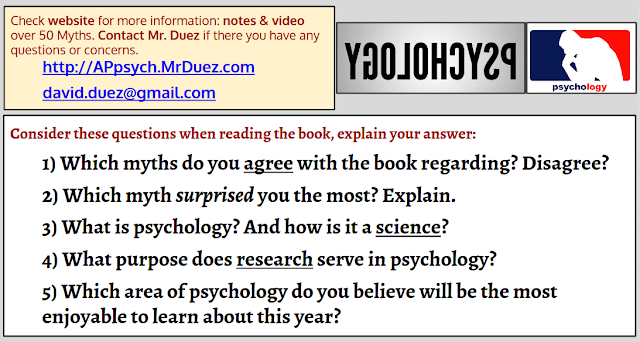 Check out the video lecture introducing the book, along with Mr. Duez's Notes. 1. DO NOW: What is Psychology? How does 50 Great Myths explain Psychology as a science? 2. Pre-Psychology Quiz. 20 Questions. Mr. Duez will select the 50 Myths 1-50 randomly and assign to each student. 3. How to survive & succeed in Psychology: Student video advice from the past. 3. 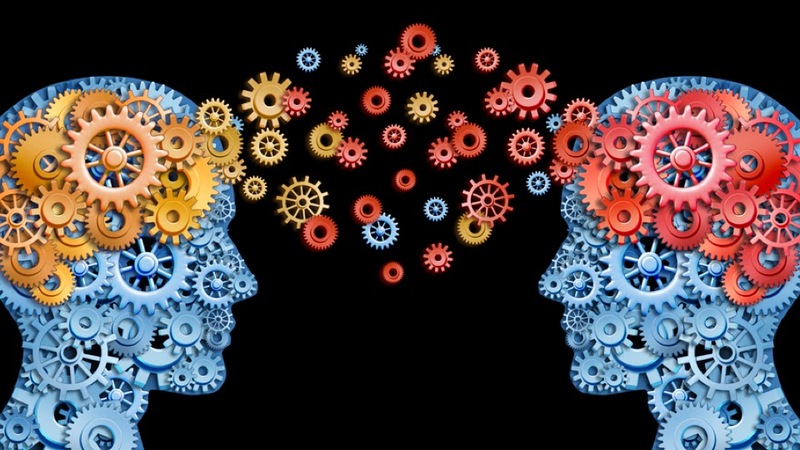 Understanding the differences between the various approaches or perspectives - behavioral, biological, cognitive, humanistic, psychoanalytic, & socio-cultural - is the key to understanding psychology. 2. How does psychology impact my everyday life? 1. DO NOW: How does 50 Great Myths group the myths? Why did they group them in these chapters in that way? SHORTENED PERIOD FOR PEP RALLY! We will take the quiz regardless. 1. 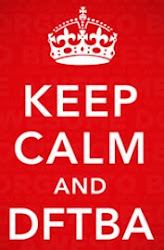 DO NOW: Which approach to Psychology do you most relate to? 2. Quiz over 50 Myths of Popular Psychology. 4. Notes over 50 Great Myths Presentations - the slides are due on Monday! 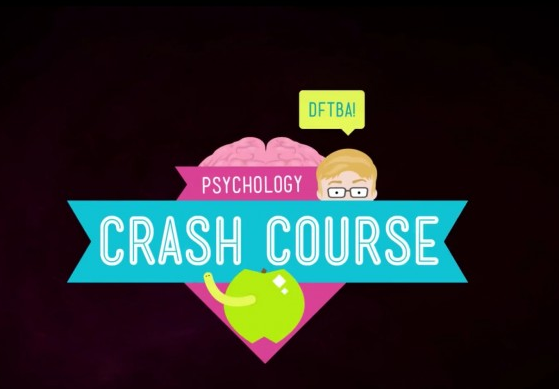 If time: Video: Crash Course Psychology #1 - What does Psychology mean? Where does it come from? Hank gives you a 10 minute intro to one of the more tricky sciences and talks about some of the big names in the development of the field. Welcome to Crash Course Psychology!! !